If you'd like your child to sit a Year 4 end-of-summer-term test to check their understanding of Year 4 maths, download our subscriber-only mock optional SATs paper, written by a primary-school teacher to mirror the topics typically covered in the old-style Year 4 maths optional SATs tests. Optional SATs were used in some primary schools up until 2015 to assess children's progress at the end of the school year in years 3, 4 and 5. Only a very limited number of official optional SATs past papers are available to parents for Y3, Y4 and Y5 English and maths (you can download them for free from TheSchoolRun), so we commissioned our own 'mock' papers. Children taking SATs from 2016 will sit new SATs exams, reflecting the revised National Curriculum. 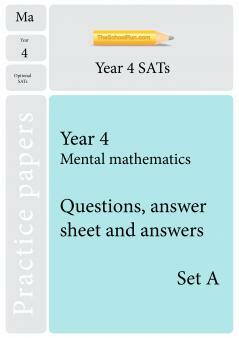 These mock papers were written to reflect the old curriculum, but can still be used to familiarise your child with the kind of questions they will find in the official papers. All the papers and marking materials have been merged into one easy download. Children should be given 45 minutes to complete the written practice paper B. You'll find answers to all your questions about SATs in Year 2 in Your KS1 SATs questions answered. To download Year 6 official SATs papers, and read about how the Y6 tests are changing and find out more about the KS2 Grammar, punctuation and spelling test read our information about KS2 SATs. 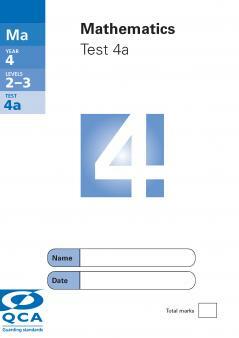 The 2003 optional Y4 maths SATs paper is also available to download, as well as another Y4 maths optional SATs practice paper, set A.